Home Lifestyle 10 Cricketers And Their Super Luxurious Homes! Looks like all the hard work in field never goes in vain. Most of the cricketers do live a luxurious life. Their dens are super luxurious, big and as antique as they can be. The Jamaican born cricketer Chris Gayle lives in a grand house built on the hills in Jamaica. A million dollar 3-storey house of the ‘Party King’ gives a fantastic view of the town below. Gayle has all the necessities in his house, pool and deck at the back of the house with a view of Kingston, a lower deck that has a dance floor, a theatre, a billiards room and the list goes on. Gayle no doubt has made a dream home. Why go else where when you own a house like his. 2. Shane Warne’s Mansion in Brighton. The Australian spinner with a lavish lifestyle owns a beautiful mansion in Brighton. It is a four-bedroom Italianate mansion. Tennis court, swimming pool inscribed with his jersey number 23, 10-car underground garage, an entertainment space, an expansive backyard the mansion is a heaven. Warne possesses one of Brighton’s finest historical homes. 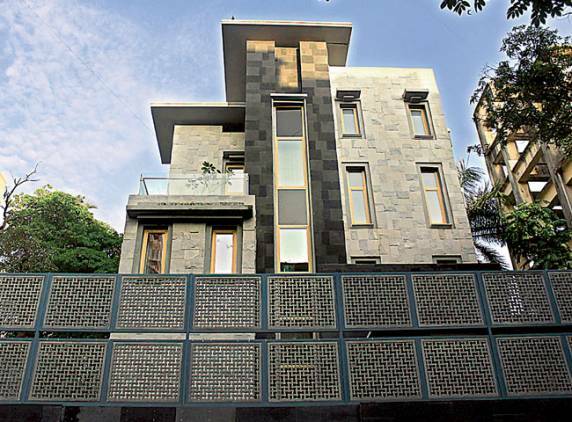 The Little Master Blaster has a 5-storey residence in Bandra, Mumbai. Sachin’s villa is spread over 6,000 sq. ft, two basements one of which is booked for his cars, the ground floor that showcases Sachin Tendulkar’s awards and achievements, 2nd floor is dedicated to his children and the guests whereas the top floor belongs to the willow Prince and his wife. Besides, there is a swimming pool on the terrace as well. The retired speedster of the Australian team, Brett Lee, after selling his Lane Cover 2 million property moved into a lavish Seaford Mansion on the Sydney’s Middle Harbour. Brett Lee’s house has a pool, spa and a 20 square meter gym. $4 million for all this is a cool deal. The 4-storey, 5-bedroom, 5-bathroom villa of the smashing Australian opener David Warner is a real treat with panoramic view of the Gordon Bay. Warner his wife and daughter live in this villa worth $ 6.25 million. Michael Clarke, the ex-captain and retired cricketer’s 5-bedroom Vaucluse is the ultimate place for the family lifestyle. A backyard with enough space to play cricket, limestone foyers, heated pool with swimming jets and four-car’s locked up garage are some of the fascinating features of the place. 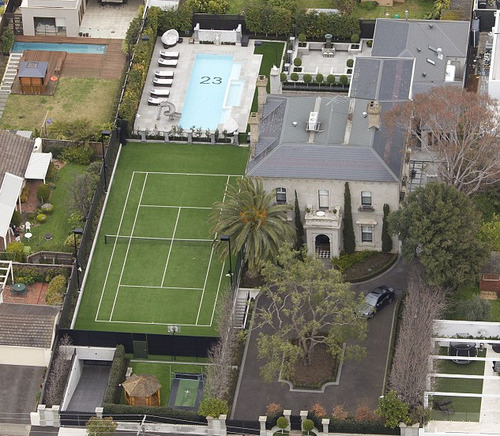 Clarke’s $8.5 million lavish home is located in the Eastern Suburbs. Shane Watson the Australian cricketer who recently retired from Test cricket owns a contemporary home in Bronte worth $9 million. The four-bedroom home with luxurious finish and a swimming pool is an attractive and splendid place to live. The all-rounder invested his earnings to a beauty no doubts. The Prince of Calcutta owns a palatial house with 48 rooms and a cricket pitch in the house. The 4-storey house accommodates 50 members. The dining rooms, bed rooms and master-suites have some magnificent wooden furnishing, climbers and creepers surround the place and antique furniture add to the beauty of the place. Perks of being born in one of the richest families of the city are really huge. 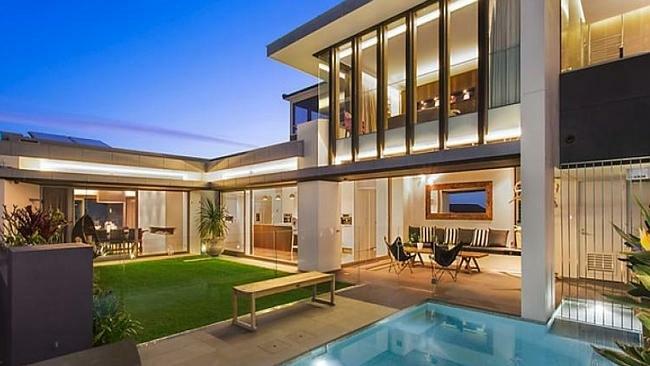 The Brighton mansion of the retired legend Ricky Ponting is a property worth $10 million. His extravagant mansion has 7-camera security system, seven bedrooms, billiards room, a library marble fireplace, theatre, pool, full-size tennis court and a private access lane-way to the beach. You can picture the luxury he lives in. Engeltine Cottage, was the name given to Sagakkara’s bungalow by the original owners 81 years before the Sangakkaras’ bought it. White pillars, well maintained and carefully trimmed garden with fruits and flowers and a gated driveway. Interiors filled with art work and wooden furniture with rattan weave, the place is exactly for the kind of person Sanga is. Sangakkara has grown up under the roof of this Bungalow and still resides there with his family. So which is your favorite from the list? Next articleThe Story Of ‘Dum Laga Ke Haisha’ Girl Bhumi’s Weight Loss Is Inspiring!